My interest in the Scholarship of Teaching and Learning (SoTL) led me to collaborate with a group of colleagues from various institutions across the United States on an edited volume entitled Gender in the Political Science Classroom, which was published in July of 2018 by Indiana University Press. 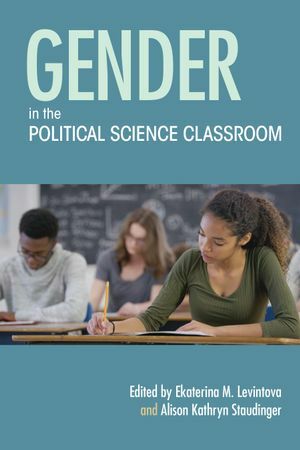 The book looks at the roles gender plays in teaching and learning in the traditionally male-dominated field of political science. The volume offers a balance between the theoretical and the practical, and includes discussions of issues such as curriculum, class participation, service learning, doctoral dissertations, and professional placements. My chapter entitled “Gendering the Political Science Classroom while Mainstreaming Gender in the Discipline: Understanding the Barriers and Exploring Solutions,” presents the state of the discipline in gendering the classroom, analyzing national survey data, as well as qualitative data presented in the Task Force Report prepared for the American Political Science Association in 2011. 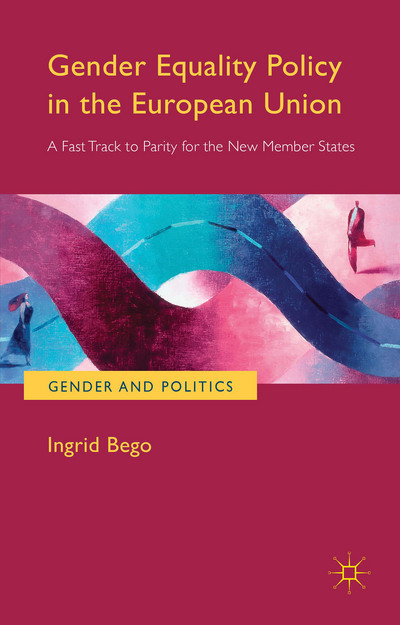 This book examines the role that the European Union (EU) has played in enhancing democratic values in new member states by requiring the adoption of gender equality laws, such as equal employment and reconciliation policies, in return for membership. Considering four EU member states in Central Eastern Europe - Bulgaria, Czech Republic, Latvia and Poland - it debates if and under what conditions the incentives for EU membership positively affected the successful adoption and implementation of gender equality policies. The book looks at the role of formal and informal domestic institutions to understand successful alliances in each case study, and considers the dynamic relationship between domestic and international actors in the context of global governance. Engaging with the study of public policy, this book discusses how the EU is capable of successful promotion of human rights and democratic values in general and provides insight on how any supranational organization can establish effective incentive structures to produce desired outcomes. “Accessing Power in New Democracies: Women’s Path of Least Resistance in Postcommunist Europe.” Political Research Quarterly, 2014, Vol. 67(2) 347–360. This article seeks to improve our understanding of how women are gaining access to political power in third wave democracies. I extend the study of factors that affect the supply of and demand for female cabinet ministers from Latin America to Central and Eastern Europe, analyzing twelve new democracies from 1992 to 2008. I find that a high percentage of women’s enrollment in higher education correlates not only with the high percentage of women appointed to ministerial positions but also with a higher rate of appointments to prestigious posts.